Alright then. Last week was terrible, but at least Toronto managed to get the job done against Ottawa, baby steps and all that but still it’s something. 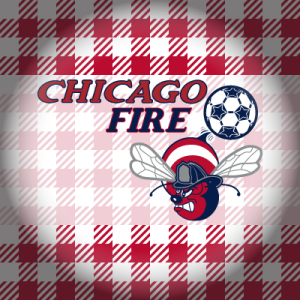 Now we get to go against Chicago for 2 weeks straight, at home next week, in Bridgeview this week. If Toronto are going to make the playoffs, they’re going to have to play remarkably well over the remaining games, basically at the same level they played last season, a record breakingly good team. With all due respect to the Fire, a record breakingly good team should be able to beat them twice, easily, cos they really aren’t all that good. Dropping points here would not only make the gap to the playoffs bigger, it would also be a very good sign that this year’s Reds just aren’t good enough to make up that gap. It’s not actually a must win, but really, it is, if they can’t get at least 4 points from these 2 games, there’s really not much point to paying attention to the rest of the season. Van Der Wiel! Mavinga!! and Altidore!!! oh my. Vazquez on the bench as well, so aside from Drew Moor, that’s getting very close to a top strength team. Presumably it’s a back 3, with Morrow as a centre back and Morgan at left wing back. It’d be a bit much to expect everyone to just seamlessly slip back into their top form, but it’s all very positive. Let’s see what happens. Toronto does not concede within the first ten minutes, shunning tradition. Alan Gordon will score in the last 10 minutes, probably in injury time, as is tradition. Toronto will win, shunning tradition. 1′- Oooh, Luke Wileman’s back alongside Steven Caldwell. Vic Rauter’s nice and all, but this is a good thing. Also, Ooh, Raheem Edwards is playing for Chicago. Never really worked out for him in Montreal, hopefully he does better here, gets his career back on track. 6′- Schweinsteiger has a low shot go wide. Generally so far, TFC have seemed better, sharper than last week, so that’s something. Morrow actually seems to be at right wing back with Van der Wiel one of the centre backs. 9′- Morgan with a chance to do something, shocking lack of control, but manages to win a handball, about 25 yards out, wide. Giovinco shoots of course, it’s not terrible, but it’s wide. 21′- Fire do a weird corner routine, it eventually breaks to Edwards who wasn’t ready for it. Ball eventually comes back to Edwards who puts in a decent cross, but Nikolic’s header is glancing rather than thumping, and the glance goes wide. 28′- Morrow dummies a Delgado cross to let it go to Altidore, but his shot is deflected for a corner. We’ve looked competent so far, but that’s probably the most dangerous we’ve looked. Yellow card: 42′- Mavinga gets booked for a nothing foul on Edwards. Yellow Card, Sub: 44′- Altidore tries to run past Corrales, but Corrales bearhugs him to hold him back and earns the yellow. An elbow/arm to the head amidst all that means Corrales has to leave the field bleeding, and is subbed out for Vincent. Nothing comes from the free kick. Half time thoughts: Well, it was competent, though Dull. All things being regular you’d call that a good away performance, and hey it’s definitely better than we’ve seen recently. But if TFC are going to get anything form this they’re going to have to get faster. I’m going to liven things up by doing some laundry. 2nd Half: I’ve switched from beer to Gin and Tonic. Hopefully that’ll make this whole thing more palatable. Goal: 47′- Bradley with a long ball to Giovinco out on the left. Comes back inside, defence lets him walk right to the middle of the box, and he then puts the finish just inside the far post. Lovely. Fire 0:1 TFC. 55′- Lovely little move from TFC gets the ball to Giovinco in the box, but he tries to get too fancy and it all fizzles out. 57′- Fire force a mistake, Edwards sets up Nikolic who curls his shot wide of the post. Raheem’s looking quite lively out there, which is nice to see. 58′- Van der Wiel creates a turnover, does a one two and then gets a really feeble shot off, weak and right at the goalie. 60′- Osorio with a good chance to create something that he fucks up, then Katai with a cross to Edwards who gets a header off, but can’t quite get it on target. Yellow Card: 61′ Edwards with a lovely move, then forces Morrow to foul him and get the yellow. Sub: 66′ Mavinga off, Hagglund on. Presumably a pre planned thing due to Mavinga not being 90 minutes fit yet. 68′- Corner to the back post for Hagglund who gets a solid header off, but it’s right at Sanchez who saves it easily enough. Sub: 73′- Ellis off, Adams (with a note) on. Sub: 80′- Altidore, had a decent game, off, Vazquez on. 85′ Gorgeous quick accurate and incisive passing move from Toronto ends with a Seba shot blocked at the top of the box. I’ve missed that. 89′- Another good move ends with Vazquez getting a shot off, and getting kicked and hurt in the process, But he’s eventually ok.
90′ Giovinco dribbles along the top of the box, desperate for someone to tackle him so he can try win a penalty. Eventually it happens, he falls, but the penalty is not given. Well tjhat was much better. A controlled if dull first half and then in the 2nd half, a bit more speed and urgency and they looked like 2017 TFC again. That was nice. 3 well deserved points, good to see Altidore out there again, Giovinco looked a lot more lively and dangerous, relishing the space Altidore’s presence brings him. Lovely stuff. Pretty much everyone looked so much more comfortable and sharp out there, so much better than last week. And Raheem Edwards looked like a dangerous player again, that’s genuinely good to see. Goat of the Game : No-one really. Morgan didn’t particularly stand out so I guess him? harsh but the rules say I have to pick someone. Ref Rating : 4 out of 5. No real issues. I Am Not The Gaffer, But… : Hey, what do you know. When you have good players, the coach all of a sudden looks better. Back to the 3 centre backs thing, which worked. Good first half, keeping it tight defensively, and then going for it more in the 2nd half, it all paid off well. Well done all. In Case You PVR’d It : Skip the first half, unless you suffer from insomnia then oh boy are you going to want this, then watch the 2nd half and get all nostalgic for 2017 when TFC played that well often. Failed it. Why did the Fire nor bring Gordon on, behind, needing a goal, that’s when Gordon’s a viking. Unused Substitutions: Irwin, Hernandez, Chapman, Telfer, Akinola. For those that believe that the world is encompassed by a mysterious ether, then this game supports that belief. While Altidore and Mavinga played reduced minutes and limited in their play, their unseen influence when on the pitch was great and strangely they left a residue after substitution, in that ether that fortified the defense and midfield. Of course it helped that Sanchez bungled a parry on the ground that led to an Oso tap-in.